Faith Ryan Whittlesey, a friend of Joe Sobran, passed away on May 21. Please remember her in your thoughts and prayers. 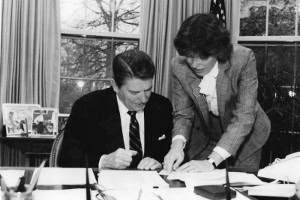 Faith Ryan Whittlesey, who as head of the Office of Public Liaison for President Ronald Reagan, was the highest ranking woman in the White House, died on May 21 at her home in Washington, D.C. She was 79. While in the Reagan White House from 1983-85, she sent a copy of the film, "The Silent Scream" to every member of Congress -- and arranged for a screening of it at the White House. A stellar conservative leader, she once commented that she suffered more discrimination for her ideological views than for being a woman. A former member of the legislature in Pennsylvania, Mrs. Whittlesey, was an early Reagan supporter, pushing for his nomination over that of Gerald Ford; and an early Trump supporter as well. She was the co-chairman of Reaganites for Trump-Pence in 2016 as well as being a member of the National Catholic Advisory Committee for Trump-Pence. She was Ambassador to Switzerland twice, and involved in the American Swiss Foundation for almost 30 years. Below is an obituary from Newsmax. Faith Whittlesey, a senior White House staff member under President Ronald Reagan and two-time U.S. ambassador to Switzerland, died Monday at the age of 79 following a long battle with cancer. Whittlesey, who also served in the Pennsylvania State House, was considered a political trailblazer, overcoming tremendous obstacles facing the women of her time and going on to become an influential figure in the sculpting of the modern conservative agenda. She once famously quipped: "Ginger Rogers did everything Fred Astaire did, but she did it backwards and in high heels." Whittlesey was born Faith Ryan in Jersey City, New Jersey, graduated from Wells College, and earned a full scholarship to University of Pennsylvania Law School. While at Penn, her lifelong passion for Europe and foreign policy was born. After completing her second year of law school Faith was awarded a Ford Foundation grant to attend a summer session at the Academy of International Law at The Hague. In 1963, she married advertising executive and Pennsylvania Republican activist Roger Whittlesey, who helped her nurture a love of politics. While pregnant with the third of her three children in 1972, she won a seat in the Pennsylvania House of Representatives. State Rep. Whittlesey quickly established a reputation for fiscal conservatism and independence from the more moderate GOP leadership on her side of the aisle. So it was no surprise in 1976 to find her aligned with the young legislator as one of the few GOP office-holders to vigorously support the insurgent candidacy of former California Governor Ronald Reagan against incumbent President Gerald Ford. Reagan missed the GOP nomination that year by a handful of votes at the Republican National Convention. But when he returned to the presidential nomination fight four years later, Reagan had a cadre of eager supporters, one of whom was Faith Whittlesey. 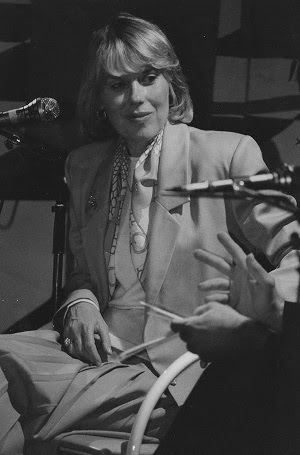 Following an unsuccessful bid for nomination as Pennsylvania's lieutenant governor in 1978, she again threw her considerable political clout behind Reagan. This time, he handily won the Republican nomination and election as President in 1980. 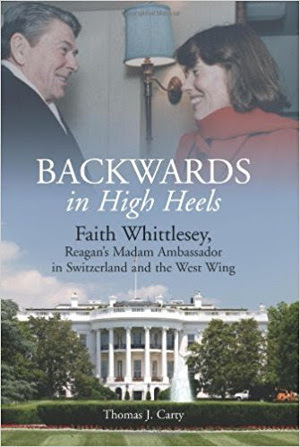 Whittlesey served two stints as Reagan's ambassador to Switzerland and during her first term, helped initiate negotiations that led to a major change in Switzerland's notoriously secretive banking laws. According to The New York Sun, during her years in Berne, Whittlesey was accused of helping private contributors to her representational fund for envoys not wealthy enough to pay personally for their diplomatic entertaining. Whittlesey was formally cleared, which the Wall Street Journal marked with an editorial headlined "True Grit," The Sun reported. In between her two terms in Switzerland, she was head of Public Liaison in the White House -- overseeing outreach to key voter groups. In her office in the West Wing, she regularly advised the President and let him know exactly what his conservative base was thinking. "We had quite a few in the Reagan White House who didn't share the President's conservative principles and. indeed, were anything but conservative," Whittlesey recalled to Newsmax earlier this year, citing Chief of Staff James Baker, who had been Vice President George H.W. Bush's presidential campaign manager in 1980 and Deputy Chief of Staff Mike Deaver. But she also proudly noted that "We had a few of us real Reaganites on the White House staff-[Counselor] Ed Meese, [National Security Advisor] Bill Clark, [Special Assistant] Morton Blackwell, and me, and, whether the issue was abortion or taxes or the President's Strategic Defense Initiative, we kept the conservative flame glowing." Whittlesey was a staunch opponent of abortion and champion of the pro-life movement. In 1985, she sent the anti-abortion film "The Silent Scream," a documentary depicting an ultrasound abortion at three months, to every member of Congress and arranged for a screening at the White House. For years after Ronald Reagan left the White House, Whittlesey remained vigorous in many causes. Having developed a strong love for Switzerland and its people, she served from 1989 on as chairman and later chairman emeritus of the American Swiss Foundation, which seeks better understanding between the United States and Switzerland. She also organized two high-level private delegations to China and oversaw numerous round-table panels on domestic and foreign policy. ** In 2006, The American Rose Society named a new tea rose "the Faith Whittlesey Rose"
In 2001, she was named by President George W. Bush to be an At-Large Member of the U.S. Delegation to the United Nations Conference on the Illicit Trade in Small Arms and Light Weapons. Whittlesey once explained the prejudice she faced as a woman hoping for a career in law, saying she worked as a substitute teacher in her last year of law school because female students advised by school administrators to forget about interviewing with law firms because "we would not be hired." But she had mixed feelings about the feminist movement. While working at the White House she labeled feminism a "straitjacket" for women, claiming it reduced custody and marital rights women had enjoyed previously before the Equal Rights Amendment. "Ronald Reagan honored the role of full-time homemaker and her rights in Social Security and income tax in the face of elite feminists' demeaning of full-time mothers," Whittlesey said. She told journalist David Broder: 'I sympathize with some of the goals of the women's movement, but they choose not to associate with me, so that's where we are. I find myself in many closed rooms filled with men, but I'm rarely invited to women's movement's functions, because I am pro-life and do not endorse feminist ideology of victimhood.'" In 1989, Whittlesey became the first female member of the all-male Union League Club of New York. 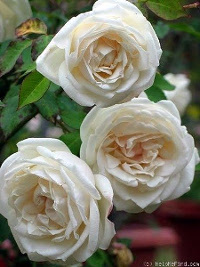 An enthusiastic gardener, Whittlesey was honored in 2006 by the Union League Club in New York City in 2006 and awarded with a new Tea Rose variety named "Faith Whittlesey." She also received the International Friend of the Rose Award at the Great Rosarians of the World meeting in New York City in recognition of her "spadework" in reestablishing U.S. rosarian ties with their Chinese counterparts. In 2016, she co-chaired Reaganites for Trump-Pence with former U.S. Attorney General Edwin Meese and former Oklahoma Governor Frank Keating. She was also a member of the National Catholic Advisory Committee for Trump-Pence. In a 2016 opinion piece for The Phyllis Schlafly Report, Whittlesey wrote of Reagan: "I knew the real Ronald Reagan. In 1976, I was a single mother and young politician who risked everything to support him against Gerald Ford, a sitting Republican president. Four years later I helped deliver the key state of Pennsylvania to President Reagan, then I served beside him in the White House and as one of his ambassadors. He was not the avuncular, subdued great man worn down by age and illness that the media present to us today through a rosy filter of nostalgia. That caricature of Ronald Reagan is one Bill Clinton and even Barack Obama invoke, when it suits them ... "Reagan's supporters were smeared as rubes, nativists, and religious fanatics. Reagan was a man who bucked the GOP "wise men" over and over again, until he won. Then he restored America's élan, our economy, and brought down the Berlin Wall." In a remembrance of Whittlesey, The New York Sun said: "We came to think of her as an ambassador of American idealism and an antidote to the cynicism to which so many had succumbed in the thick of the Cold War." She said of Trump: "Like Reagan, Trump has developed a personal bond with millions of Americans." Whittlesey is survived by a son and daughter, Amy and William, and 10 grandchildren. She was predeceased by her husband Roger, who died in 1974 and a son Henry, who died in 2012. Faith Ryan Whittlesey, rest in peace.